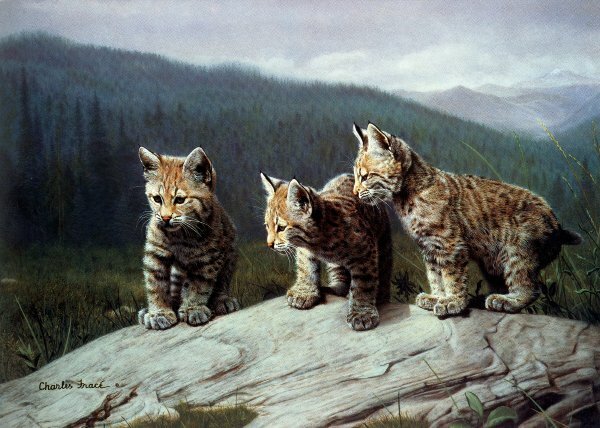 Three of a Kind by Charles Frace ~ Charles Fracé brings to his art over three decades of personal research and a close kinship with animals. He has traveled all over the world photographing and painting wildlife. Perhaps the greatest honor of his career came when Fracé was recognized with a one-man exhibit of thirty-six of his paintings at the National Museum of Natural History, in the Smithsonian Institution in Washington, D.C.